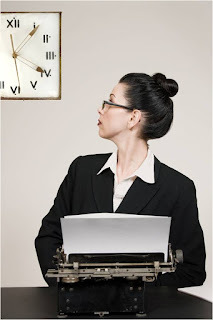 Vicki Voisin - The Paralegal Mentor with Paralegal Career Strategies: Will Paralegals Disappear? The Paralegal Mentor Says "No"! Will Paralegals Disappear? The Paralegal Mentor Says "No"! Rise of Technology Causing Paralegal Jobs to Disappear? Instead of allowing these dire, attention-grabbing headlines to create a profession-wide panic, let's give some common sense thought to these predictions. As recently as 2010 the U.S. Department of Labor, Bureau of Labor Statistics, predicted there will be an 18% growth rate in paralegal jobs through 2020 and that this is one of the fastest growing professions. In contradiction to that, The Associated Press released a report in January 2013 stating that 5 years after the start of the Great Recession, millions of middle-class jobs have been lost world-wide and will never return. Additionally, millions more are likely to vanish. Further, the report states that, "Year after year, software that runs computers and an array of other machines and devices become more sophisticated and powerful and capable of doing more efficiently tasks that humans have always done." The analysis refers to jobs that are routine and repetitive in the service sector and examples used are paralegals, meter readers and travel agents. In August 2012, The ABA’s House of Delegates approved updates to the Model Rules of Professional Conduct to acknowledge that information is stored digitally as well as in paper files, clients communicate electronically as well as by phone calls, and email isn’t the only method of electronic communications. New commentary language added to Rule 1.1 (the duty to provide competent representation) requires lawyers to keep abreast of the benefits and risks associated with technology, according to new commentary language added to Rule 1.1 on the duty to provide competent representation. It is insulting that the work of a paralegal would be classified as a “routine and repetitive” job, similar to those of a meter reader. The American Bar Association defines paralegals as performing specifically delegated substantive legal work for which a lawyer is responsible. Working as a paralegal is not just a job, but a career. It's doubtful meter reading can be considered a career. Paralegal jobs will not be obliterated by technology. Instead, technology will change paralegal jobs, as well as paralegal responsibilities and skill requirements. But what’s new? From the time this profession emerged in the 1970’s, paralegals have had to deal with change. The unwritten rule has always been that you either kept up or you were out of a job. From the manual typewriter to the good old Selectric to today’s desk tops, iPads, laptops, and smart phones, paralegals have accepted new challenges and met expectations. Often it is the paralegal who introduces the new technology to their employers and then trains the staff to use it. One more thing: the legal field will always require the human touch. Software cannot soothe clients, decide what must be done, or run by itself. Software cannot deal with court staff. Software cannot be relied upon to be correct. A good example is your spell check! The training and expertise of the paralegal, as well as the ability to deal with people, will always be needed. Observe trends in the industry. If business is slow in your focus area, take necessary steps ensure you will have a job, perhaps in another specialty area. Never stop learning; take advantage of CLE opportunities. Become an expert in your focus area. This will require work on your part which might include pursuing advanced certification, returning to college, and keeping up with new rules and case law. Be the one establishing systems and routines that will help your employer. Watch for new technology, adopt it, and learn it. Never -- ever -- refuse to use it. Prepare a great resume and keep it up to date. Use social media. It's here to stay, folks, and it's a great networking tool, as well as an excellent way to learn about new trends, technology and tools. The bottom line? Remember that headlines are designed to grab your attention. Lately, they have caused paralegals to fear for their future. Don't fall for this! Instead, study and interpret the materials yourself so that you can make wise decisions. Then follow the steps above so your career will continue to move in the right direction: forward. Vicki Voisin, "The Paralegal Mentor", delivers simple strategies for paralegals and other professionals to create success and satisfaction by setting goals and determining the direction they will take their careers. Vicki spotlights resources, organizational tips, ethics issues, and other areas of continuing education to help paralegals and others reach their full potential. She is the co-author of The Professional Paralegal: A Guide to Finding a Job and Career Success. Vicki publishes Paralegal Strategies, a weekly e-newsletter for paralegals, and hosts The Paralegal Voice, a monthly podcast produced by Legal Talk Network.